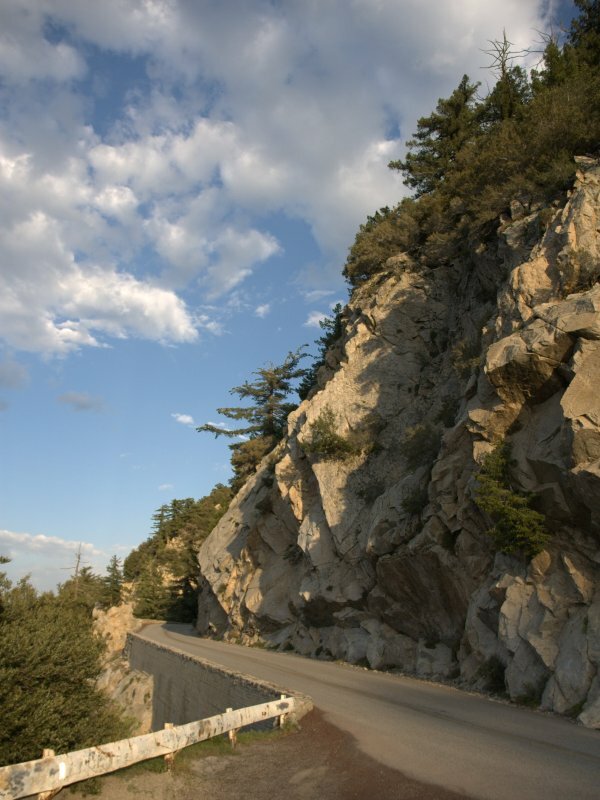 The Angeles Crest Century is a scenic ride through the San Gabriel Mountains in the Angeles National Forest. This century offers plenty of climbing, but mostly on moderate grades (around five percent). The ride starts in La Cañada Flintridge, the beginning of the Angeles Crest Highway. 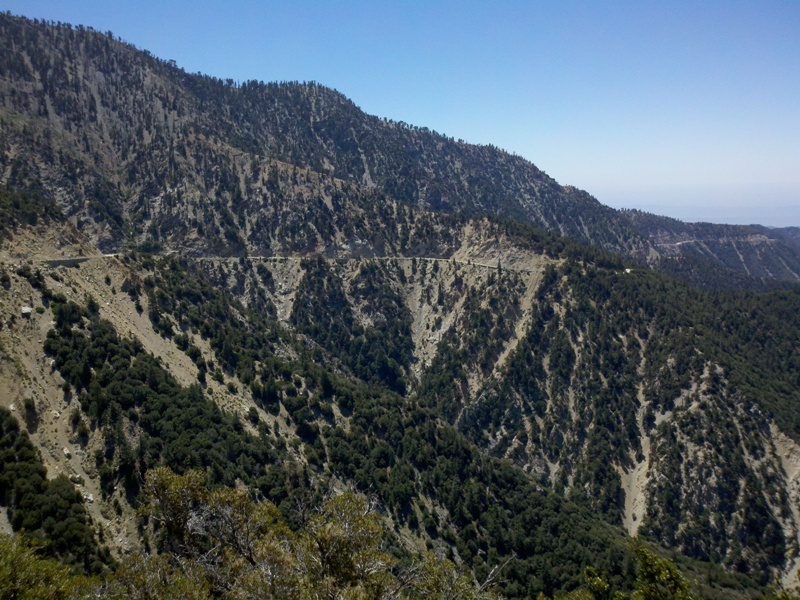 At Clear Creek, the route temporarily leaves Angeles Crest Highway. It descends on Angeles Forest Highway and ascends again on Upper Big Tujunga Road. 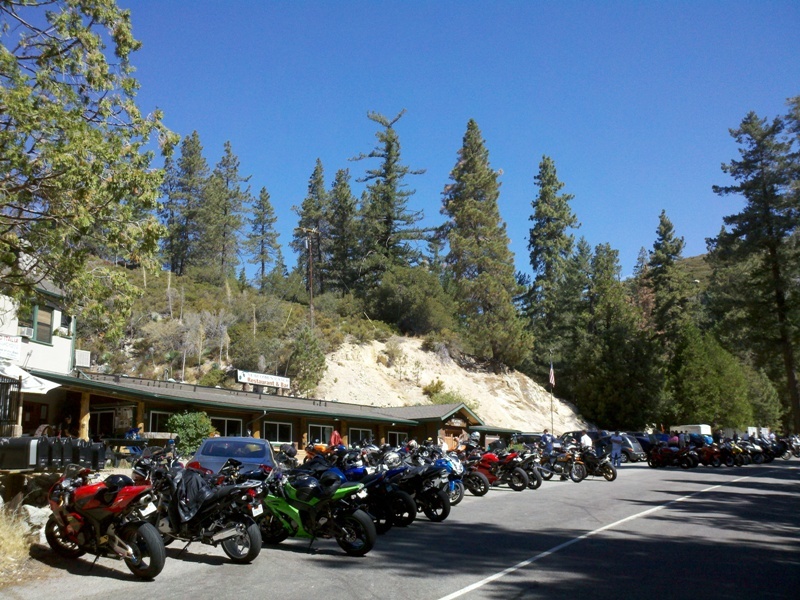 Then the route continues on Angeles Crest Highway, passing Newcomb's Ranch, Cloud Burst Summit (the highest point at 7,018 feet), two tiny ski resorts (Mount Waterman and Kratka Ridge), and two tunnels. The turnaround point is at Jarvi Memorial Vista. 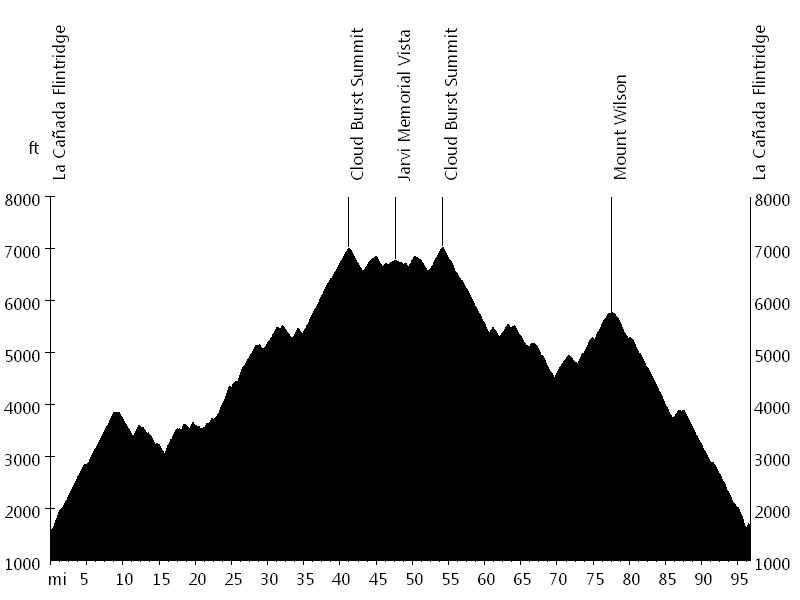 On the way back, the route descends towards the starting point, with a climb up Cloud Burst Summit and a final climb up Mount Wilson Summit. 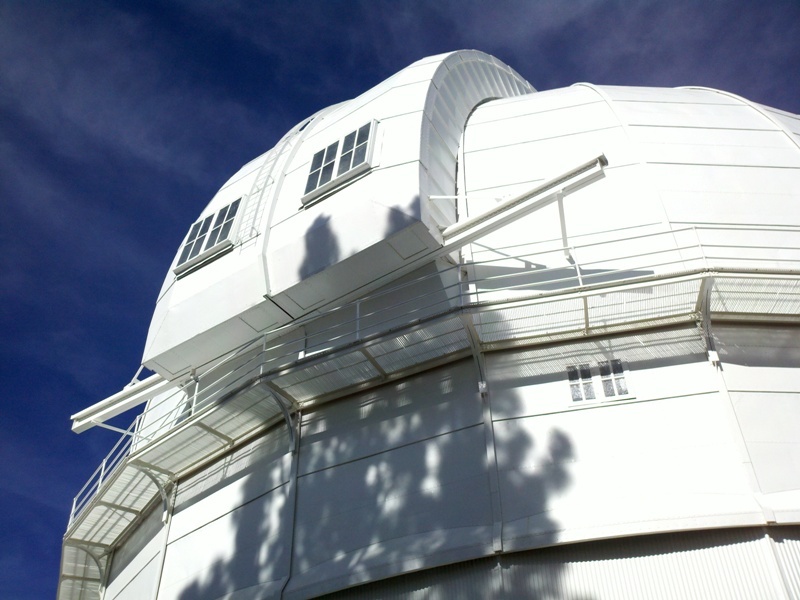 Mount Wilson, with its observatory and radio/television towers, offers an impressive view of the Los Angeles basin. I rode this ride with Dave McR. from Pasadena, whom I met at the Son of Death Ride, and his son Gavin, who was riding his first mountainous century.